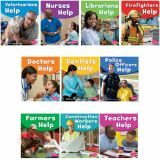 Each side of the puzzle features a slightly different pattern on the border, helping kids get the cubes all onto the correct side. 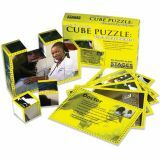 And, every one of our cube puzzles within a category has a different colored border to make sure the cubes don't get mixed up! 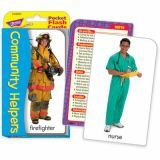 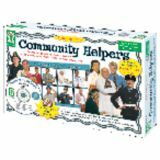 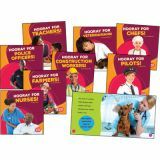 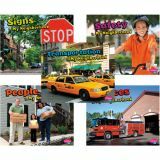 For example, in the “community and self” category of puzzles the active kids puzzle border is green, the community helpers puzzle border is yellow, the positive interactions puzzle border is blue, and the healthy habits puzzle border is purple.